For a lot of us the seasons have changed and the colder weather is starting show her snowy side. For others of us we may have never seen snow before. We might not understand how the colder weather creates unique crystallized water droplets each with their own pattern and design. So how can someone explain snow to another person that has never seen or touched it? As a teacher how can we get our students engaged in either reading about a winter or snowy story or to write about it? 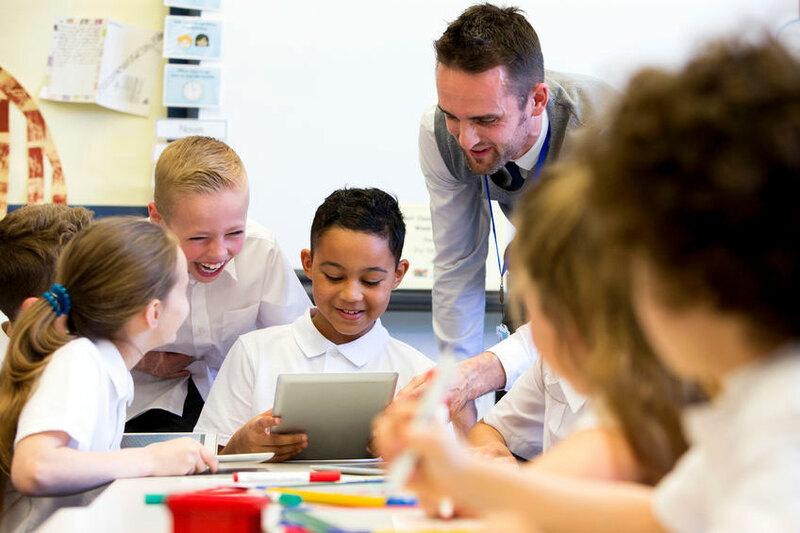 Why not use a augmented trigger to perk students' interest? 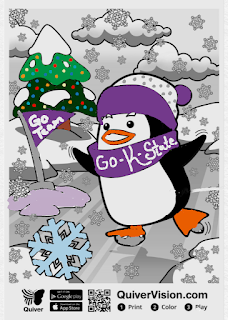 Penfold Quiver's fun penguin loves to catch snowflakes and play in the snow. Why not have student interact with Penfold and have him catch snowflakes. As a teacher my 1st thought about having Penfold catching snowflakes is to use the augmented content as data collecting or graphing. How would explain to someone who has never seen snow what snow looks like? What games could you play in the snow? How many ways can you catch snow? What vocabulary could students use with Penfold? 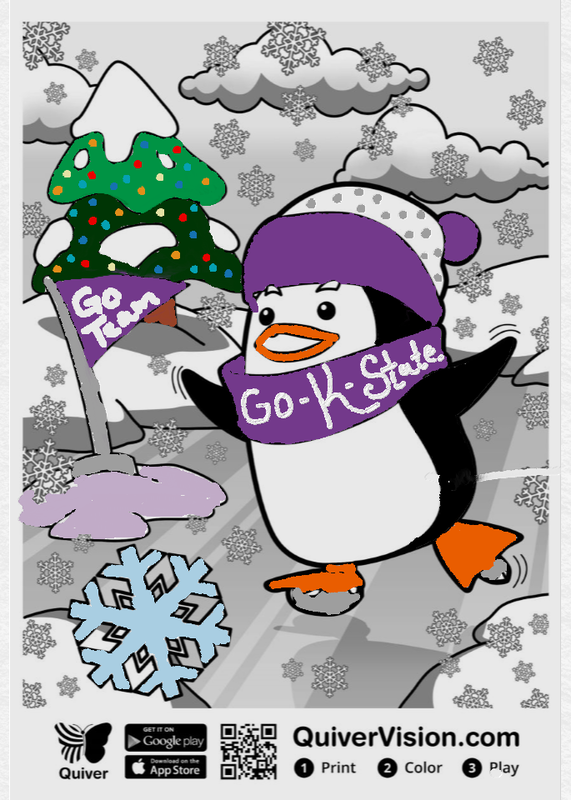 There are many ways to use this fun snow catching penguin to get students excited about winter even if they have never seen snow before. 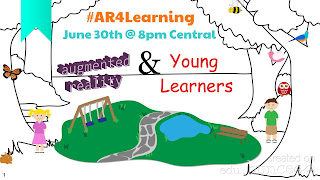 Join us every Thursday at 8pm central for #AR4Learning as we chat about ways we can use augmented content in education. For the month of October I started challenging other educators in how many ways could they use Quiver's pumpkin page in their classroom. I posted a few ideas that come to my mind such as having students write out step-by-step instructions in how to crave a Jack-o-Lantern and writing a spooky story with their pumpkin creature a character of the story. After having some interesting conversations with other educators and reminding me that everyone do not always celebrate holidays or the same holidays. This really made me think how can I include those students so that they can experience the augmented pumpkin. It hit me, have students do a descriptive writing project and then record themselves describing the pumpkin using Quiver's video recorder. There will be a creepy sound recorded, but I think it is only activated when you tap the screen. You can always do a recording with no sound and pull that video into iMovie and then do a voice over recording within iMovie if you are worried about the creepy sound. There are many ways of doing a descriptive writing of a pumpkin. My thoughts are to have students write describing a pumpkin with of course not telling people what it is. Using descriptors such as vertical creases running from the top of the object all the to the bottom, a hollow sound when you know on the object, etc... Once students have written their descriptive paragraphs then I would activate the Quiver pumpkin and have students record via the Quiver app themselves describing the pumpkin. I would then take their recordings and upload them to my Google Drive and create a QR code. I would put the QR codes on their written out description with "Scan the QR Code for the Answer" posted on each writing project. Another way would be to have students write a poem about a pumpkin or a pumpkin patch or even a riddle. Then have students record and make a video clip using the Quiver app explaining their answer. Save the video clips to an online folder such as Google Drive. 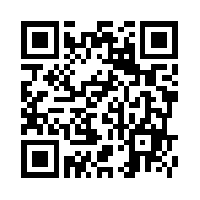 Then create a QR code for each video clip. Past the QR codes on a bulletin board along with the students written out work. My friends and I hang out all summer playing in the dirt. We start off very small. So small sometimes you don't even see us. Most of us are green with smooth skin but start to change after the being in summer sun. By September and October we start to change. Some of us become very short and fat while others get tall and just chubby. Our skin starts to change color and some of us start to get bumpy. It's October and it's time for scary and spooky stories. Why not spark your student's creativity with Quiver's augmented pumpkin coloring sheet and turn it into a scary story writing prompt. Below there are some writing prompts that might help spark that scary story in your students. I even have a "How to Write a Scary Story" brainstorm worksheet to help organize students' thoughts. Using Quiver's pumpkin sheet have students use the sheet to design one of their characters for their story. After students have written their scary stories have them record their voice telling the story via the Quiver app. Quiver has built in a video clip recorder as well as an audio recorder. Students can interact with the pumpkin character while they record their scary story. While they are recording their scary story they can tap on their pumpkin character to include sound effects. There are several ways to share your students' scary stories. You could upload their video clips to your classroom website, classroom Facebook, classroom Instagram, classroom Youtube channel, etc... Once they are online you can create a QR Code to redirect people to the stories. You could post the students' pumpkins on a bulletin board along with each QR Code. How ever you share them your students will love listening to each others scary stories. For more ideas on how to use augmented reality in education join us every Thursday at 8pm for #AR4Learning Twitter Chat. When I was growing up I had to learn how to write out step by step instructions. The best way my teacher had us learn was to write out the process in making a peanut butter and jelly sandwich. During the demonstration the person following our instructions could not do anything unless we said it and we couldn't say anything unless we wrote it out. By the end you knew you where successful if the person following your instructions made a successful peanut butter and jelly sandwich. 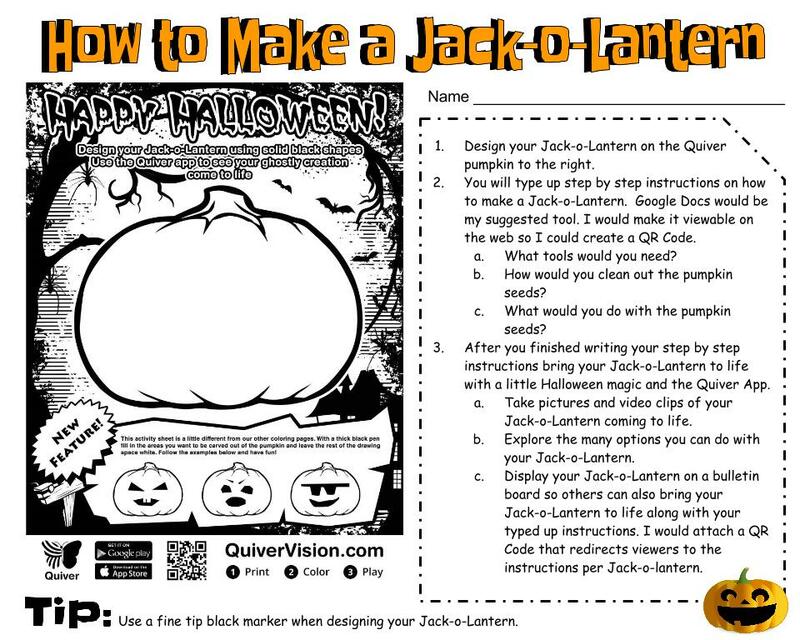 When I saw Quiver's pumpkin carving augmented coloring page, I thought how fun would it be for kids to type up steps into creating a jack-o-lantern. What tools would you need to carve a Jack-o-Lantern? How would you clean out the pumpkin seeds? What would you do with the pumpkin seeds? How many seeds might be in their pumpkin? What should they do first carve the pumpkin or clean it? How would they carve the pumpkin? What shapes would they make? 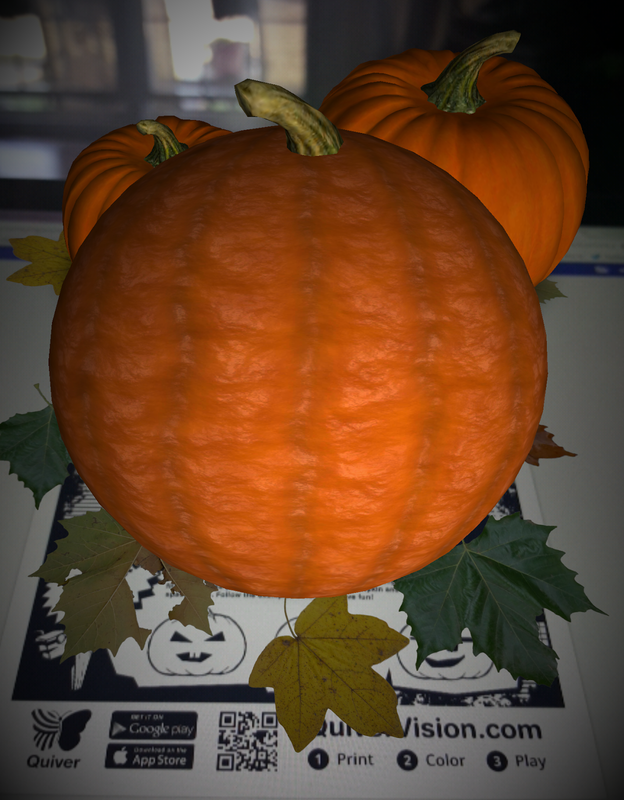 If your class was doing a science or math experiment say in comparing a small pumpkin to a larger one and which one would have more seeds you could incorporate it into this augmented activity. Better yet add it to your interactive student notebook. While they are writing out their instructions you could have them include how many seeds they think would be in their pumpkin. As a class you can then do ratio of seeds to pumpkins. You could make a chart of the different shapes used when creating the Jack-o-Lanterns, how many Jack-o-Lanterns have teeth, sunglasses, etc..
After students have typed up their instructions, which I would use Google Docs for. 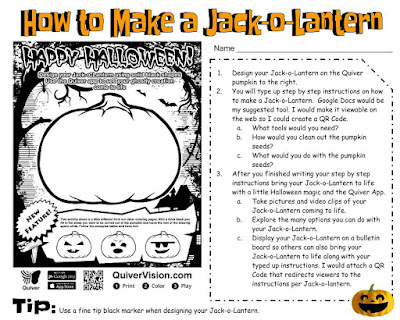 Create a QR Code that will redirect the viewers to the instructions and place the QR Code with each Jack-o-Lantern. If using Google Docs you can either make the page shareable or make it view-able on the web. I would make the instructions view-able on the web. As a class you can decide which step of instructions might make a successful Jack-o-Lantern by voting or making persuasive speeches and try to follow the instructions to the letter on a real pumpkin. For younger students I would have them read off the instructions while the teacher follows and does the carving. 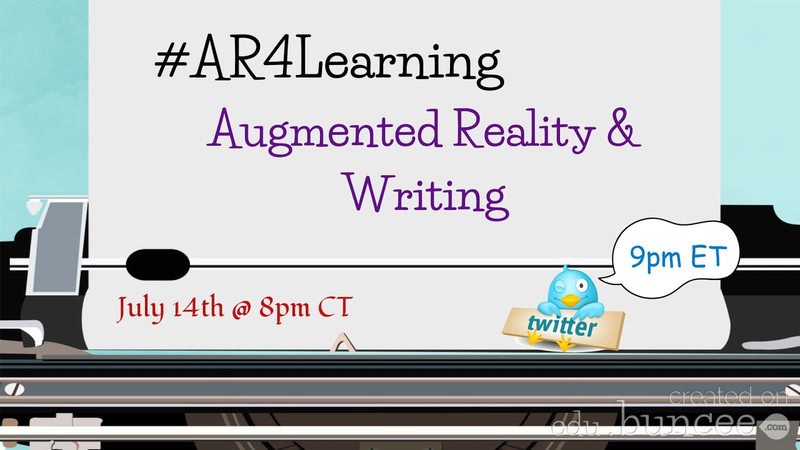 Join us every Thursday at 8pm central on Twitter for #AR4Learning to learn more ways to use augmented reality in the classroom. Have you ever thought about having students create a newspaper featuring news from ancient civilizations? There are several ways for students to create newspapers that can feature articles from the ancient civilizations. SMORE an online digital Flyer, Magazine, and Newspaper creator is a great tool for students to use to create a digital newspaper or flyers. 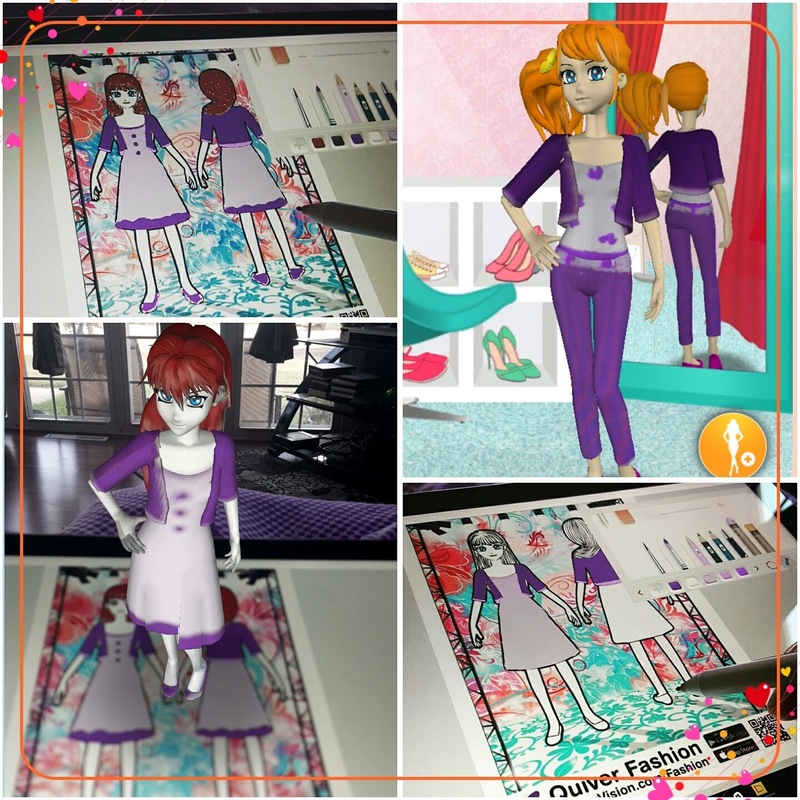 Using Blippar's Blipp Builder students or you can add digital content that the reader can interact with via the Blippar app. For me augmented reality needs to be interactive. If you are planning on linking the ancient newspaper or article to a single website or video then you should use a QR Code. With Blippar you can add several different digital content to a single trigger. (An image or item you scan) For example a couple of video clips, a few links to a websites, pictures, and an audio file, etc... can all be added to a single trigger. Make it interactive not just scannable. There are other online creators that students can use to create their digital newspapers, articles, magazines, flyers, brochures, etc... No matter what the tool you have students use to create and show their learning just have a rubric for students. Give them a clear idea on what you are looking for. You might to want to also talk about effort and what a quality piece of work looks like. 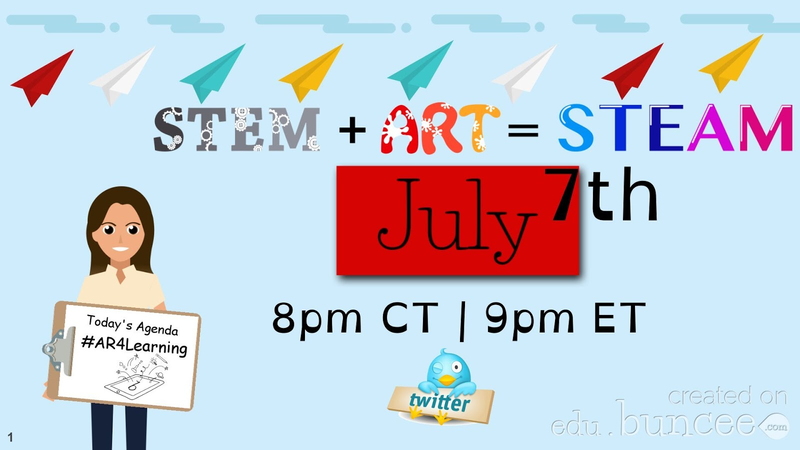 For more ideas on how to use augmented reality in your classroom join us every Thursday on Twitter for #AR4Learning at 8pm central. 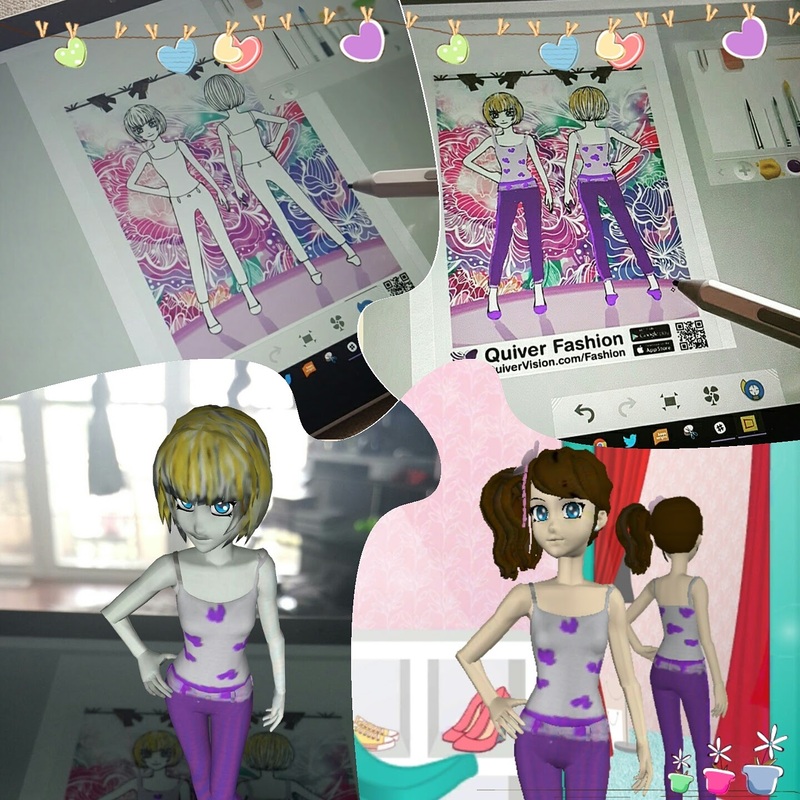 Quiver's augmented coloring pages are so versatile which makes them possible to be used in writing, story problems, and even fractions and charts. Because of the interactivity with Quiver's coloring pages students can record data to create fractions and charts. I created this page for my students to record shooting practice in order to create a simple spreadsheet and chart. There are so many chart making tools out there you will need to pick up that works best for you and your students. My students will be using this page to record their data, sketch out their chart so when it is time to transfer their data to Google Sheets they will have an idea of what their Google chart should look like. Having my students think their data as a fraction will help learn to read a chart. Playing the shooting practice will help them stay engaged in collecting the data they will need in order to create a chart. 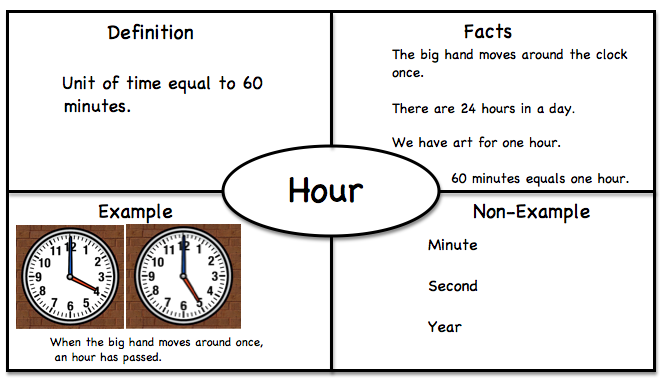 This page would work great in a student's math interactive notebook or in a center. 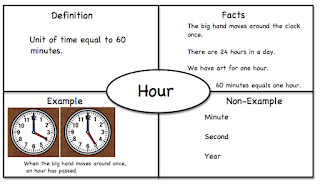 Before using this activity with your students you may want to go over how to collect data and writing out fractions. You may also want to review different charts such as a bar chart verses a pie chart and when you each one. 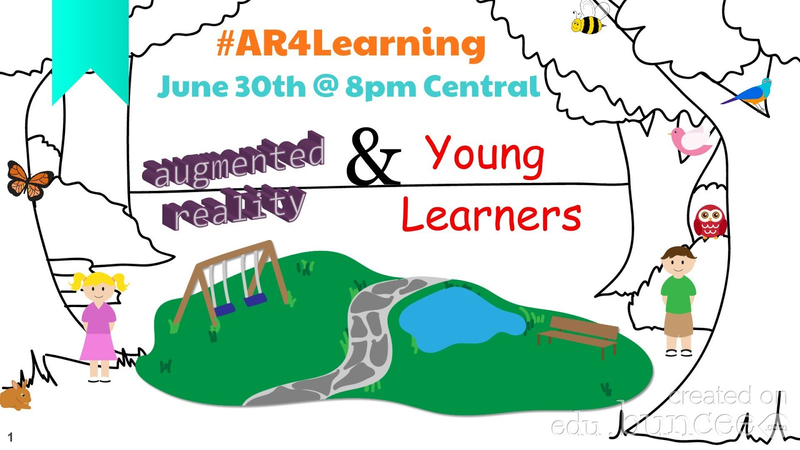 Join us every Thursday at 8pm central on Twitter for #AR4Learning to learn more ways to use augmented reality for education. To help bring books to life I started looking for and designing interactive augmented lit trips. Harry Potter is one of my favorite series, and I love the idea of a Marauder Map. A Marauder's map is a form of a augmented map, layering content over a physical object. To view the resources to make your own Marauders map and to access the Lit Trip by Jacob Williams you will need the Blippar app. You will need to scan the above image with the app like you would do with a QR code. Before you scan though enter the code 23722 in Blippar's setting. If you are using augmented reality with lit trips just make sure they are interactive. If you are going to redirect your students to a single website or Google Map use a QR Code instead of an augmented trigger. 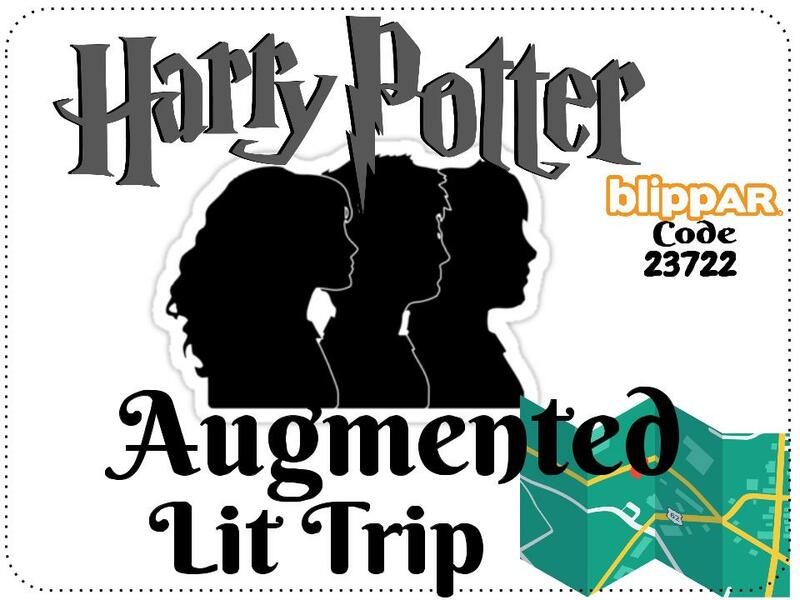 If you have questions on how to make an augmented lit trip feel free to reach out to me anytime! Join use every Thursday at 8pm central time to via the #AR4Learning Twitter chat to learn more ways to use augmented reality in your classroom. Today I watched my oldest son drive away. 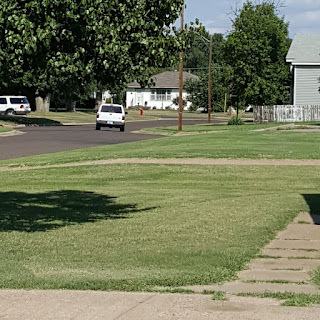 I wasn't sure how I would react as he drove away. Since graduation everyone around me would ask if I was OK or if I was ready for James to leave. I thought I was ready. I kept telling myself that we have prepared him the best we can and that he will be OK. I am not upset that he is headed off to college. I am so excited for him, so proud of him, and worried all at the same time. I know deep in my heart he will be OK. The song "There Goes My Life" by Kenny Chesney sums up my feelings. My heart ... my life just drove off. 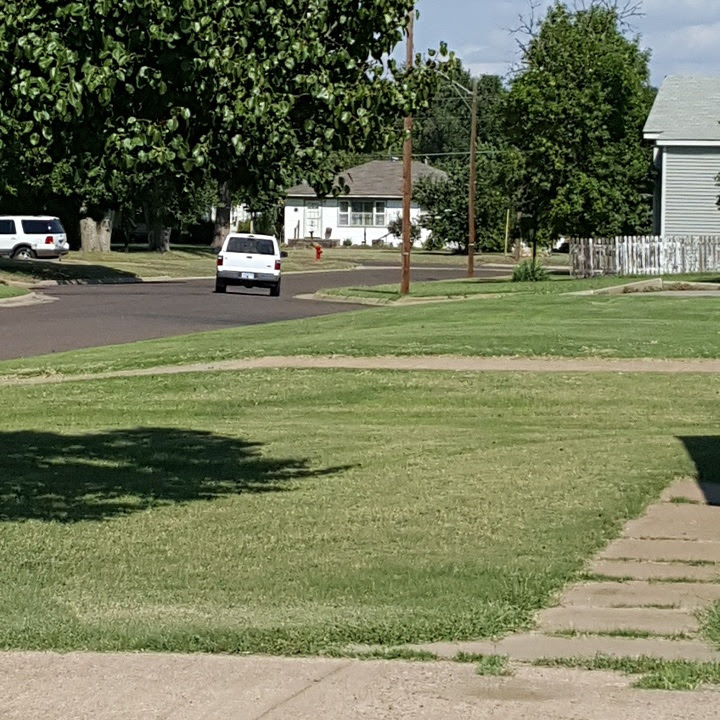 I sat on my the step to my front porch and just cried as I watch him drive away. I will miss him showing up in my classroom just to say HI. He started that little tradition when he was in kindergarten. What most people know is that James and I started school together. His 1st day of kindergarten was my 1st day of teaching. We have been there for each other for the past 13 years. It was a little hard today to start the school year knowing his 1st day is next week, and he would be leaving today. I know things will change between us. He is no longer my little guy that would sit with me just to be near me. He will no longer pop his cute little head in my classroom and say "HI MOM, How's your day?". I am going to miss everything about him and worry about him at the same time. I am not worried that he will succeed. I know he will. He is a bright young man with a big future a head of him. I also know he is smart and will make the best decisions he can. He is following his passion and doing what he loves to do. I just worry if he will be happy and safe. When he drove away today it was like watching my heart walk away. It will take time for me to adjust not having James around all the time. I am looking forward to Labor Day weekend when he comes home for a visit! There are many ways you can go about mapping out your town or area by using a variety of online tools. One online tool you might want to try is Scribble Maps, this one is my favorite mapping tool. Scribble Maps allows you to create your own legend, add custom markers, and even block/shade in an area of your map. What I love is you can over lay text on your Scribble Map as well as images. ZeeMaps is another map creating tool that you can add personalize images, landmarks, points of interest and etc.. Wanting a map that goes beyond streets try Mapbox. Mapbox allows you to create not only street maps but also outdoor maps that add trails and paths to your map. You can also see the terrain and landcover data for your area. My Maps by Google is another customizing mapping tool you can use with your students. With My Maps you can add customize layers to your map. With My Maps you can add images, video clips, directions to a location, points of interests, and so much more. What I really love about My Maps is you can measure distances on your map. This is a great tool if you are teaching distances via maps. 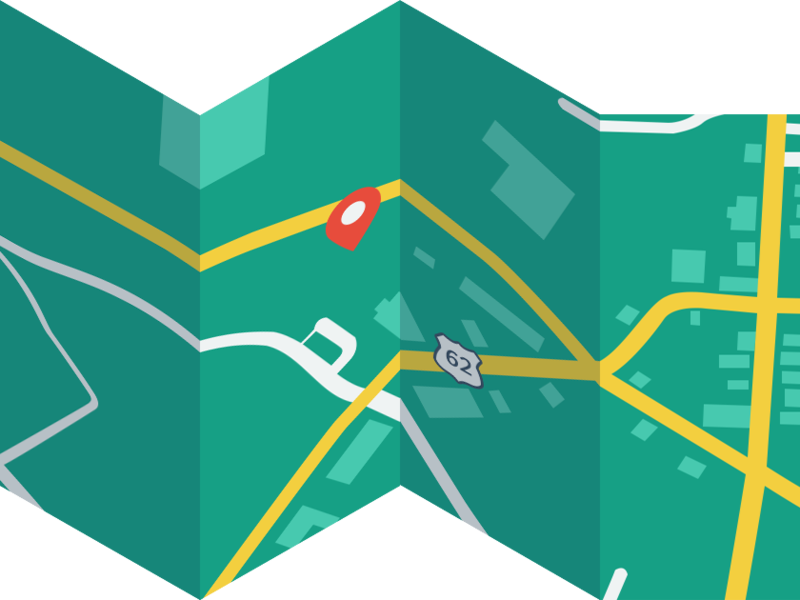 Are you wanting your students to create a story with their map, then you might want to try Mapme. 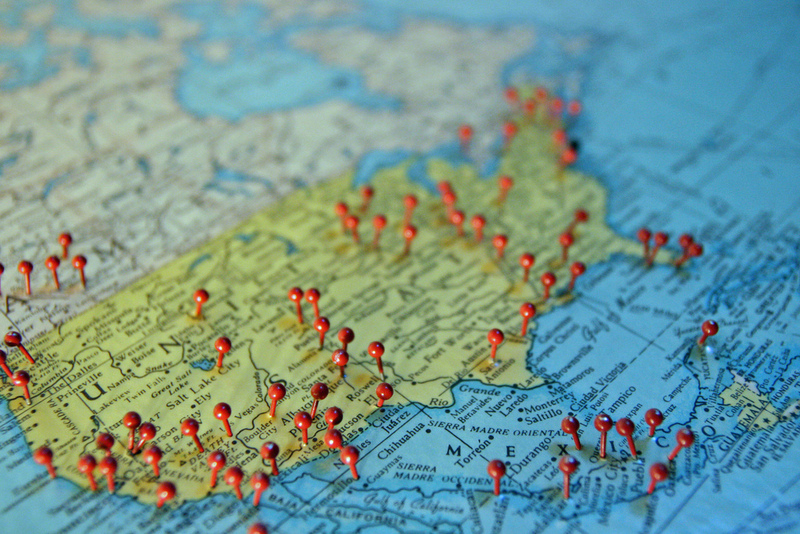 Mapme allows you to create a story via a map. You can add images and videos to your pins as well as a story for each pin. This tool would be great in mapping out where students found their pocket monsters. Another online map creating tool is Snazzy Maps. Snazzy maps allows you to customize your map by adding points of interest. Snazzy Maps would be a great tool to use with students that are learning code and website design. Snazzy Maps will give you the code for your map after you have made your customization. If your students do not have access to computers to create maps, no worries you can do this activity offline to. You can ask your city for copies of the city map, print one off of Google Maps, or have students draw out a map of their town or area. 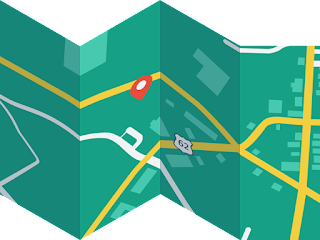 Once you have decided on which map creating tool you are going to use with your students then you are ready to start adding Pocket Monsters, PokéStops, and Gyms to your map. Before students can add pocket monsters they will have to do a little research on the different pocket monsters. For example students might not want to put a water pocket monster in the middle of a wooded area. Students may also need to do some research on your local points of interest. The points of interest are were you will want to put your PokéStops and gyms. If you are creating a paper map you might want to add a plastic sheet over your map and mark the PokéStops, Pocket Monsters and Gyms on the plastic. The extra pieces of lamination you cut off after laminating a project, poster, etc.. work well for this. You then can lay the Pokémon objects over your paper map. This would also be a great way to explain how augmented reality works. That something digital (the Pokémon elements) over lay on something physical (the map). With your maps you can verify your Pokémon elements by using the Pokémon Go app. Students can check to see if the locations they picked for PokéStops and Gyms were the same locations Pokémon Go picked. With your maps you can students figure out distance between PokéStops, Gyms, the school, their house, and etc... They can also map out their path that will maximize their time in reaching as many PokéStops as possible in order to replace their PokéBalls. To add a writing element to this activity you can have students write a background story for each pocket monster they placed on their map along with a backstory for the area they put the PokéStops and Gyms. If creating digital maps via online tools have students write in a blog or webpage and embed their map into their story. If using student interactive notebooks you can add the paper map or a QR Code of the digital map to the notebooks. This is a brand new program that's not just going to focus on augmented reality but engage, innovative, interactive lessons and activities. What I love about the new community is that educators can help guide Quiver by letting them know what they are needing. The community is not only going to connect educators with mentors but it also gives teachers a voice. It is that time of year when it feels like Christmas for teachers, Back to School time. Before school even starts teacher design some fun activities to break the ice so to speak and get kids back into the swing of things. To get kids engaged and excited about school again why not use augmented activities. It has been proven that coloring helps reduce stress and calms the mind. The 1st day of school can have some kids on edge, nervous, and stressed. Why not use one of Quivers Summer Time coloring pages to help reduce that stress, call the nerves, and engage students all at the same time. You can do this as a bell ringer type activity as kids are filling up the room, a center, or even a whole class activity. Have a copy of the Summer Time (FREE) coloring page for each student as well as crayons, coloring pencils, highlighters, markers, and etc.. ready for your students. I would print two of the coloring pages on a sheet of paper, one to save paper and two so that the coloring page will fit better in their journals. I would have all of these at one table with a pup-tent saying "Have fun Coloring" on one side and "What did you do this summer?" on the other side. Allowing students to mingle and talk about their summer. When I am ready to start class or to bring everyone together I would have them sit down on the rug, in a chair, and etc... with their coloring page. I would talk to them about how we where going to use one of their spiral notebooks as their writing journal. I would give them time later to decorate their covers for their journal. I have an example of a writing journal ready for students that need to see it to understand. I would demonstrate that we were going to glue their coloring sheet to one side of the page and write on the facing page. I would then set them free to write about what they did during the summer. Reminding them that police their writing and don't forget to use capital letters and punctuation. After students had finished their writing assignment explain to them that their coloring page comes to life. 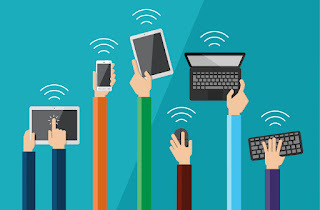 Have an iPad or so ready for students to use. You may want to explain to the students to look for the same icon that is on the coloring page to help them find the correct app to use. Allow time for them to interact with their creation. You will need a copy of the Summertime Island (Cost) coloring page from Quiver per student. I would print two of the coloring pages on a sheet of paper, one to save paper and two so that the coloring page will fit better in their journals. Have them attach their coloring page into their writing journals. Have them interact with the coloring page via the Quiver app to help them get inspiration on being a dolphin trainer. After they have had time interacting with the page then give them the writing prompt "If I was a dolphin trainer ...." You may want to allow some research time as well for students to find facts about dolphins and dolphin trainers. Students can also take pictures and video of the dolphin via the tools in the Quiver app. You may want students to add their pictures to their journal and or a QR code that redirects them to their video clip. 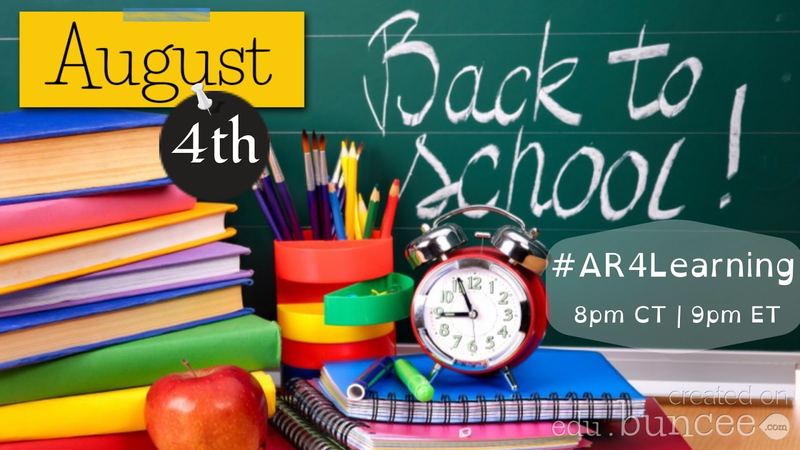 Join us on Thursdays at 8 pm central time on Twitter for #AR4Learning chat as we discuss more ways to use augmented reality in education. Edcamp Global is a powerful learning experience. It is non-stop learning opportunities for 24 hours on a variety of social media platforms. Some of the facilitators use Periscope, Twitter, Voxer, and Google Hangouts. It is a Edcamp so it is like a round table, where everyone comes together and have a discussion and share. 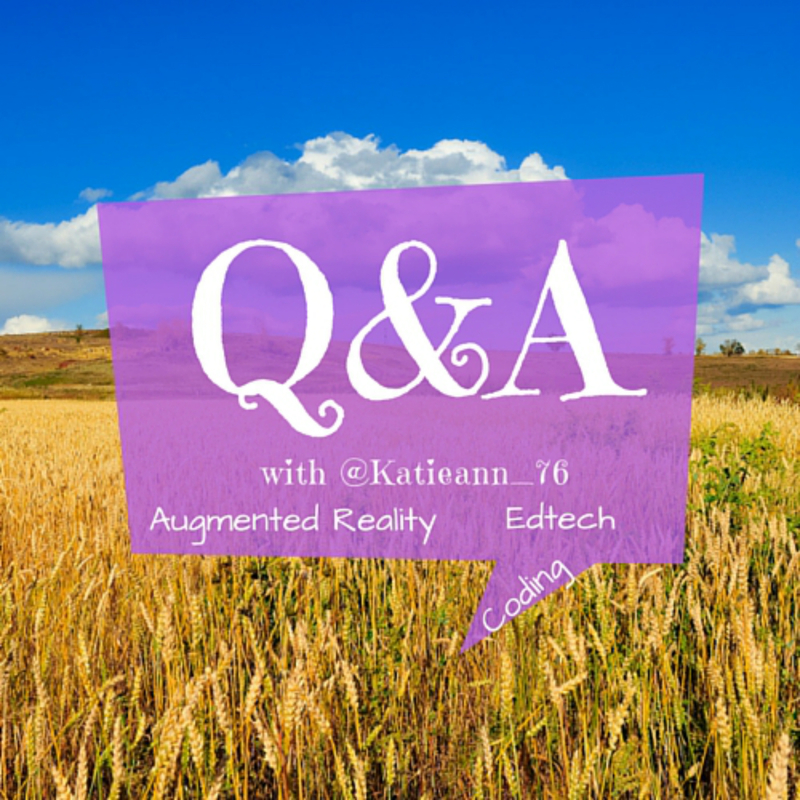 I love to share augmented in education so I seem to take the lead during the session I lead. I do record the sessions I facilitate so no worries if you couldn't participate during the session you can go back and watch the recording. There are a lot of sessions offered during Edcamp Global on a variety of platforms so participants can pick what they would like to learn or share more about. Below are the recordings for both of my sessions along with the resources I promised to share out. I love Edcamps! They are a great way to learn what you want to learn about. 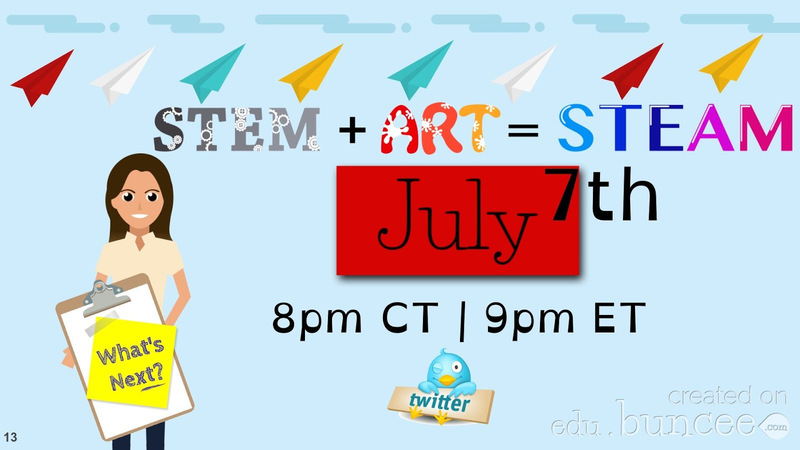 They are also a great way to share what you are doing in the classroom and to build your PLN. We are stronger together. Pokémon Go has definitely has taken augmented reality into the mainstream. Kids of all ages are being drawn in to play with the interactive game. 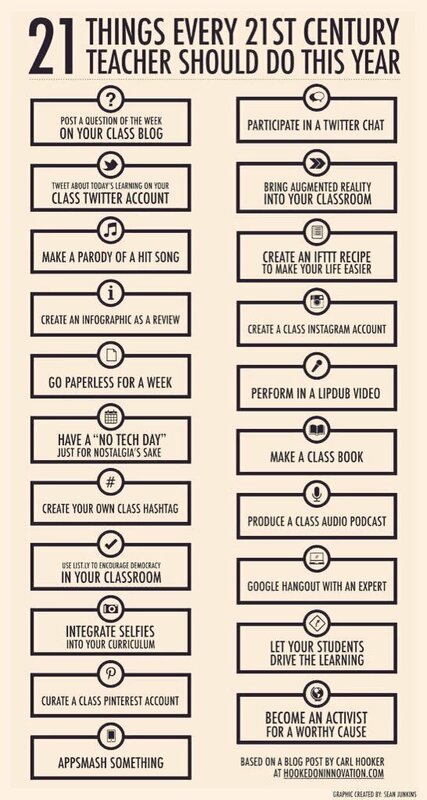 As I prepare for the next school year I can't but help to think about ways I can use Pokémon Go with my students. Since I love augmented reality and love Quiver's Dot Day page I thought how cool it would be to design my own Pokémon via Quiver's Dot Day page. Meet Brainy he is a very unique pocket monster. When he is busy thinking his thoughts bubbles up and he lets them burst all around him. He uses his thought bubbles to help others solve problems of all kinds. Sometimes the thought bubbles help and other times they take others around him to magical places and they forget what they were working on. Just depending on what Brainy is thinking about. I used Quiver's Dot Day page and Google Draw to create Brainy and Brainy's Stats page. Within Quiver's app you can record video clips. Above is a little recording of Brainy in action. In your classroom you can challenge students to create their own pocket monsters. They will need stats as well as a back story for each monster. 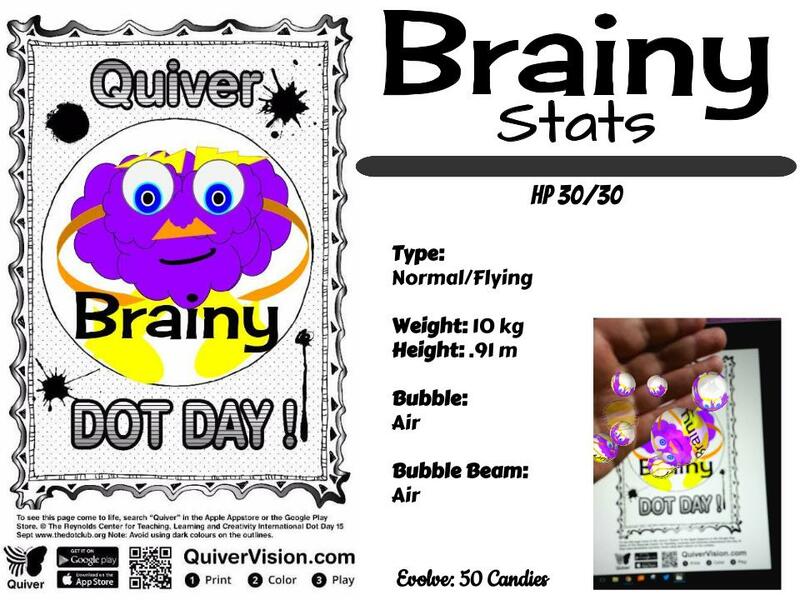 To bring the augmented world to those pocket monster I would have students create them using Quiver's Dot Day coloring sheet. You can use any digital tools to create the pocket monsters stats. 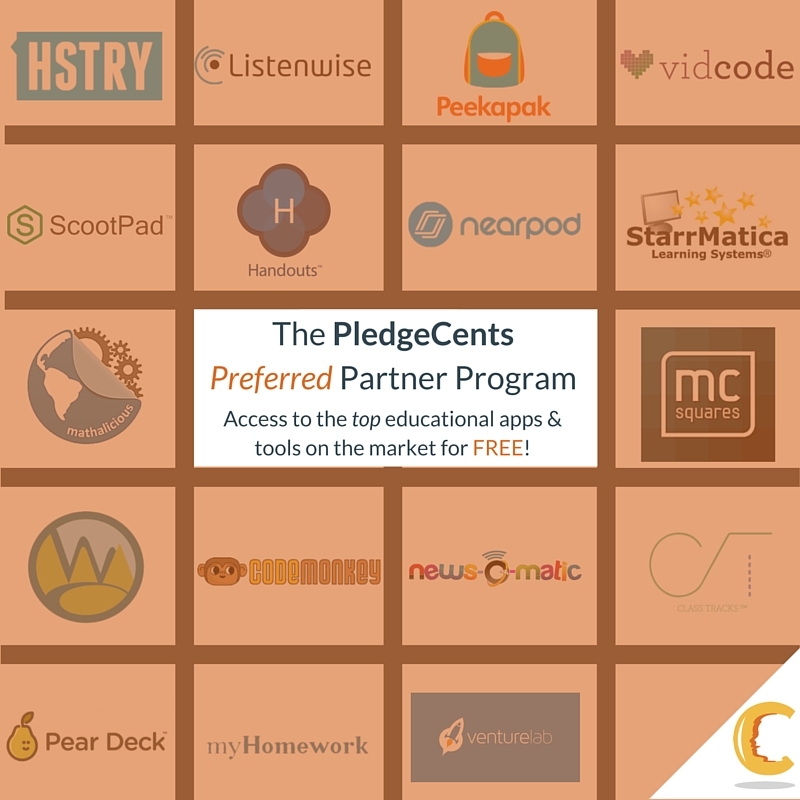 Buncee would be tool to use. Students could upload the picture of their monster. One monster per slide and add its stats. Google Draw is another great tool to use. There are tons out there pick the one you are most comfortable using or one that you want to learn how to use. The call is yours. To learn ways that Pokémon Go has inspired me for my classroom visit Quiver's Blog. 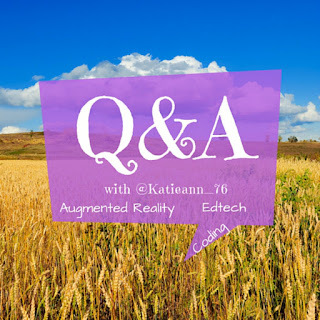 Katie Ann answer questions from viewers and talks about why augmented triggers are not like QR Codes and her favorite augmented companies. Orginal audio taken from Periscope recording added to Let's Talk AR YouTube Channel. If you could go into space what would you travel in? If you could go anywhere in space where would you go? If you were a space explorer what do you think you might find? For the STEAM activity I would have students design using grid paper a space travel machine. Students would have to give me different views of their machine along with scaled measurements and keep their sketches in their Augmented Student Interactive Notebook. I would have them next build their space travel machine from recycle materials. For me their machine would also have to move on its own, others could be just the design and build and extra points if it moves. I would focus more on the the writing prompt if "you where a space explorer". I would then have students use Quiver's Flag coloring sheet and design their flag that they would put on the planets, moons, and etc... that they discovered and wanted to stake claim to. You can also tie a global connection with the flags and have students do a little research on other countries flags. Again I would print this coloring sheet to a 4x6 or 5x7 size and have my students add it to their notebooks along with their research of other flags. I would then use other augmented content for my students to explore space. Such as apps that focus on astronomy like the Star Walk app. Other AR companies like sAReddy have an augmented book on Planets called Planets 4D. Octagon Studies has augmented space flashcards. While PopARToys has an interactive 3D Solar System poster. All of these augmented tools would be a great addition to a SPACE STEAM unit. To learn more about ways you can use augmented reality in education join us on Thursdays at 8pm central for the Twitter chat #AR4Learning. Just like learning there isn't just one tool that fits all needs. I love trying out different tools with each other to see what kind of masterpiece I can create. To help celebrate the 4th of July I held a "Create Your Own Fireworks" contest. Everyone had the same Quiver fireworks coloring sheet and were allowed to use any tools even digital to create their one of a kind fireworks. I decided I would try the app Fresh Paint from the Microsoft app store along with my Surface stylist. My daughter decided to use Google Draw and lots of stickers. As I was trying out the variety of tools within the Fresh Paint my mind went right to how can I use this app and Quiver page in the classroom, it must be a teacher thing. My 1st thought for the page was what a great way to introduce the Chinese New Year or book of celebration. Maybe even a book on being brave such as Max By: Bob Graham or The Adventures of Sparrowboy By: Brian Pinkney. 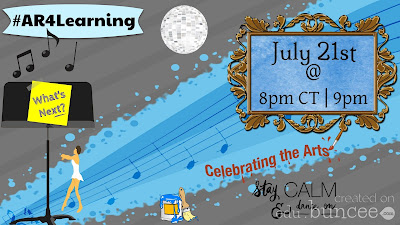 The writing prompt or group discussion could be: What would you celebrate? 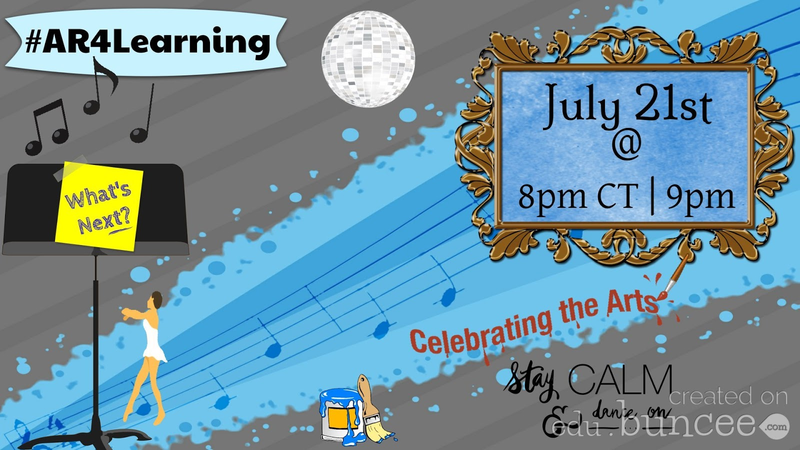 What achievements or accomplishments have you met that caused a celebration? Finally I would have students design their own fireworks that they could use to celebrate their accomplishments or achievements. They could pull out their personal fireworks scan the page and watch their personal fireworks display, while doing their own little happy dance. Something subtle, nothing that would disturb the class or school. I believe we need to teach your kids to celebrate achieving something that was really hard for them. Give themselves a little pat on the back, celebrate the positive, and feel good at what they have accomplished. What may have been a breeze and not really a challenge for one person is a getting over the mountain for another one. The Fresh Paint app is a Windows app. 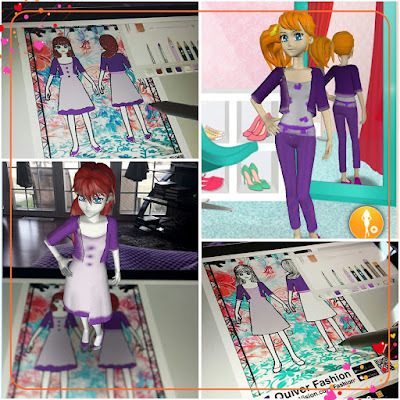 On tablets there are other apps that would allow you to bring in a picture file such as a jpg or png and allow you to add, color, paint, and draw on top of the image. For my iPad I use the Drawing Desk app. 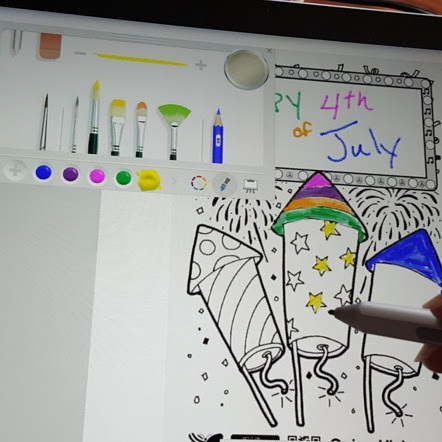 There is also the Adobe Sketch app that will also allow you to bring in an image to work with. I am sure that there are other drawing apps out there that you can use with Quiver's coloring pages. I would give each student Quiver's Fireworks coloring page digitally as a jpg. There are many ways to do this. I would use a LMS such as Edmodo SeeSaw that students can download material to their device. Have them each design their fireworks how ever they felt like. Then I would do the buddy system. One buddy loads their page on their device while the other buddy loads the Quiver app. 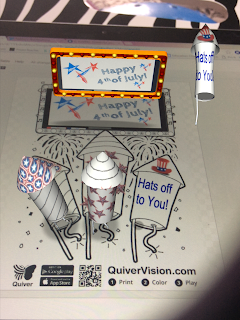 Using the device with the Quiver app loaded the two buddies can interactive with the 1st buddy's fireworks. Then have them switch roles. Keeping their customized fireworks on a device or digital folder will also help one organize students but also keep the fireworks from being lost and students can pull it out scan it over course with a send device and celebrate. 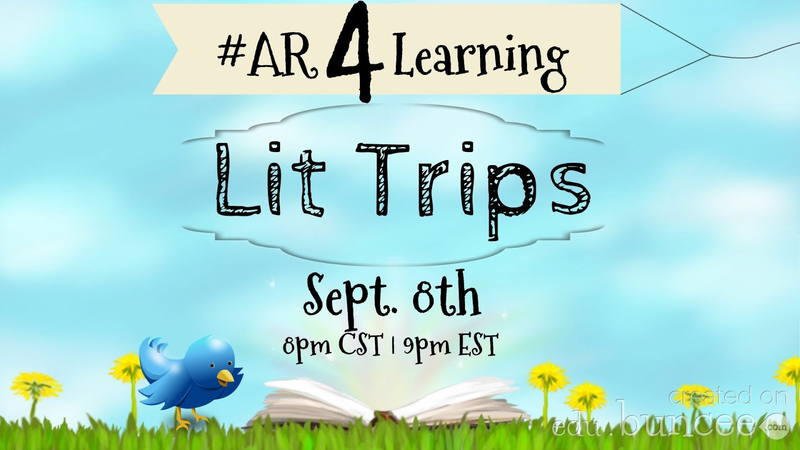 Join on Thursdays at 8pm central time on Twitter for #AR4Learning to learn more about ways to used augmented reality in education. Quiver is working really hard to develop some amazing augmented educational content. They are needing your input as they make plans for the future. What you may not know is the more content you load into one app it starts to slow down the app. They are wanting to know if you would like the educational content broken up into more than one Quiver Education app that focuses on a certain subject. For example science, language arts, social studies and etc..
To take the "Things that Go" further you could have students build their own transportation via LEGOs, recycled materials, and etc..
To learn more about augmented reality in education join us every Thur. 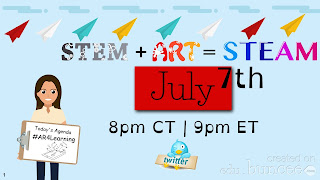 at 8pm central for the Twitter chat #AR4Learning. 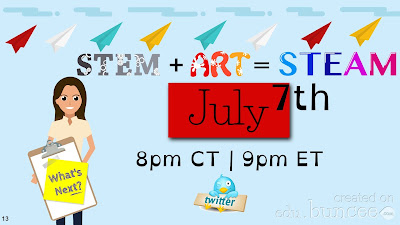 This week's topic is using augmented reality with younger learners and next week's topic will be focusing on STEM/STEAM. 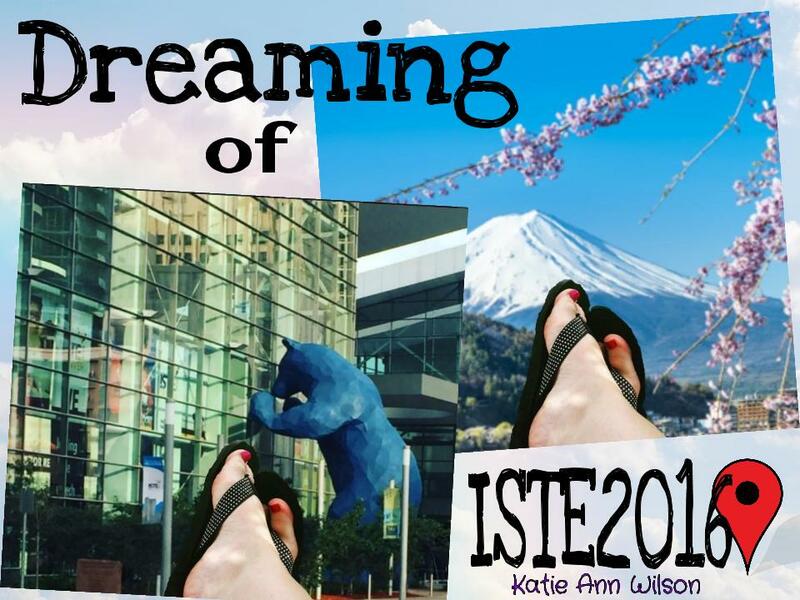 ISTE (International Society in Education) is a mega educational technology conference. Since attending such conference cost a pretty penny I've only had a few chances to attend the conference in person. For the majority part of the time I've used social media to learn from a distant and gather resources. Just like the big blue bear I get a chance to peer into the conference. This is my 2nd time attending the conference via the #NOTatISTE group. I really love the connections I've made via the group. Thank you so much for organizing the group and having such fun activities for us who are not at ISTE to participate in. 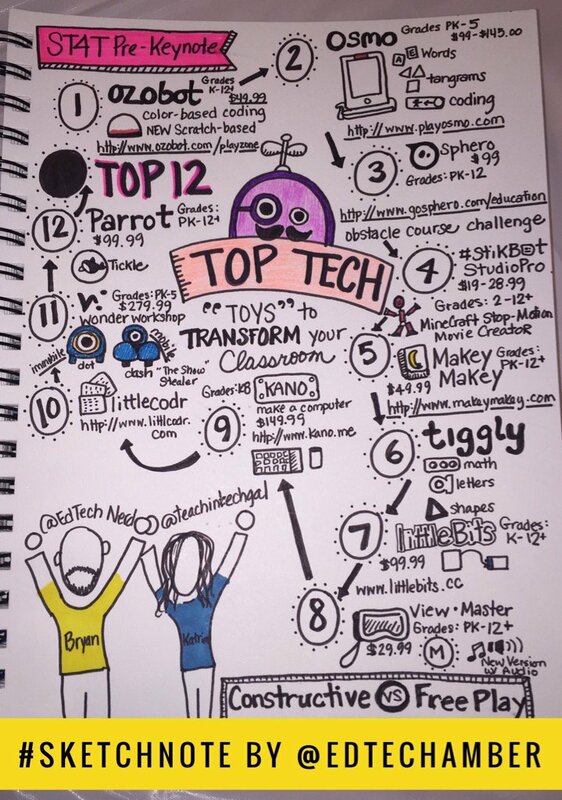 Below are some resources I've gathered via or during the ISTE conference and can be used in a MakerSpace, STEM and STEAM classes. The common theme during the conference was to give students choices. I think with the resources I've gathered will defiantly give students choices. In my opinion coding and robotics shouldn't be separate from computer science and computer science shouldn't be separate from STEM/STEAM/MakerED. They all go hand-in-had just like reading, math, social studies, and science. With robotics students need to go past driving them and making marks for them to follow. Students need to learn to program them. My #NOTatISTE16 didn't go to plan. My daughter and I had planned for this fun photowalk and a storm decided to brew. On our 2nd attempt for a #NOTatISTE16 photowalk the sun was so bright that we had to stand on the side of the mini statue of Liberty. Over all the photowalk turned out for the best. We had a blast and giggled a lot. I even got a chance to play with a new picture in picture app on my phone. I presented a second #NOTatISTE16 GHO session on the topic of Using Pre-Made Augmented Triggers. Now when I say "Pre-Made" I am meaning items that you did not make, but someone else has. It could be from another teacher or an AR company. There are now several AR companies out there that are making some pretty cool augmented content. In my session I just mentioned a few. If you need more information about a company or ways to use AR with your students or subject matter just shout. I am only a message away. I wasn't able to attend ISTE this year even though it was really close but yet too far away, so I did the next best thing and attended and presented via #NOTatISTE16. I really love the #NOTEatISTE community. 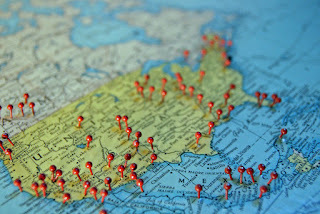 It is a chance to connect, learn, and share with others from around the world without leaving my small midwest town. My favorite part of participating in the #NOTatISTE community is making my badge. This year I didn't make a ribbon just because the ribbons provided fit me to a tee. It was nice to see that someone gets me and I am among my tribe! 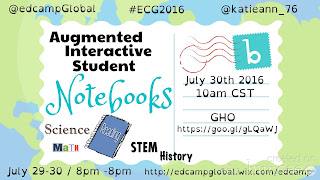 I presented today via the #NOTat ISTE Ignite session on Augmented Interactive Student Notebooks. It was a quick session in hopes that I light a flame in someone and to also show the endless possibles of using augmented reality with student notebooks. I will present on Tues. again on the topic of Using Augmented Pre-Made Triggers. Feel free to join me! I did create the slides for my session from Buncee. I really love their fun creative content. I am also collecting some resources from the ISTE sessions being shared out. Feel free to use any of the resources I share.